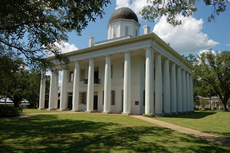 As Assessor of East Feliciana Parish, I would like to welcome you to our website. After serving as Chief Deputy Assessor for nearly a decade and now having the privilege of serving as Assessor of East Feliciana, one my main goals has always been to maintain a high level of service and transparency. The intention of this website is to provide you with current information regarding your assessments and help you understand the functions and responsibilities of the Assessor's office. Our main job is to locate and assess any and all taxable property within the parish creating what is called our tax roll. We use the most up-to-date software and GIS maps to ensure fair and impartial assessments for all East Feliciana Parish taxpayers. This office must comply with the Louisiana Constitution, laws enacted by the Louisiana Legislature, and rules and regulations of the Louisiana Tax Commission, the Assessor's governmental oversight agency. The Louisiana Tax Commission regularly conducts ratio studies to check for fairness and equality in property taxation within our tax roll. I hope this website will help answer questions about your property assessments. We welcome any feedback regarding this site, and if we can help you in any other way, please feel free to give us a call or come by our office. 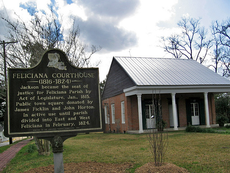 The East Feliciana Parish Assessor is responsible for discovery, listing, and valuing all property in East Feliciana Parish for ad valorem tax purposes. This property includes all Real Estate, all Business Movable Property (Personal Property), and all Oil & Gas Property and Equipment. The Assessor is responsible to the citizens of East Feliciana Parish to ensure all property is assessed in a fair and equitable manner. At the same time, the Assessor is responsible for ensuring that the assessments are calculated according to the Constitution of the State of Louisiana and the Revised Statutes that are passed by the Legislature. The Assessor is also responsible for filing the annual Tax Roll with the Louisiana Tax Commission. In addition, the Assessor must maintain the legal description of each property parcel, as well as maintain the ownership inventory of each parcel. 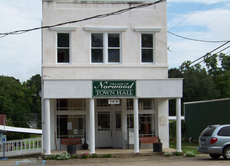 The East Feliciana Parish Tax Collector, which is the East Feliciana Parish Sheriff, is responsible for sending tax bills and collecting taxes based on the assessments and the millage rates. The annual parish tax bills are sent out in the latter part of the year and are due by December 31 of that year. The different governing bodies within the parish set millage rates for the parish. These governing bodies include the East Feliciana Parish School Board, East Feliciana Parish Council, East Feliciana Parish Sheriff, and others. Also there may be additional millages set for the individual Fire Districts, Water Districts, etc. These millages depend upon the location of the property. 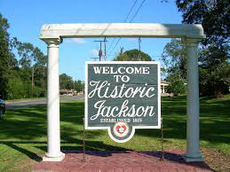 © 2019 East Feliciana Parish Tax Assessor. All Rights Reserved.